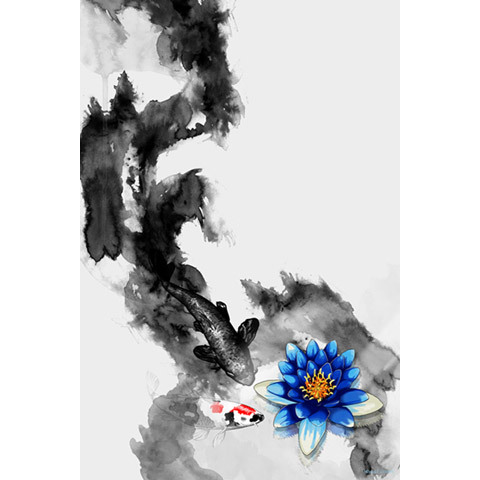 Nelumbo - 20" x 30"
Other Size Options 16" x 20" 18" x 24" 24" x 36" 36" x 48" 40" x 60"
A delicate blue water lily floats above a serene black and white coi pond in Nelumbo. 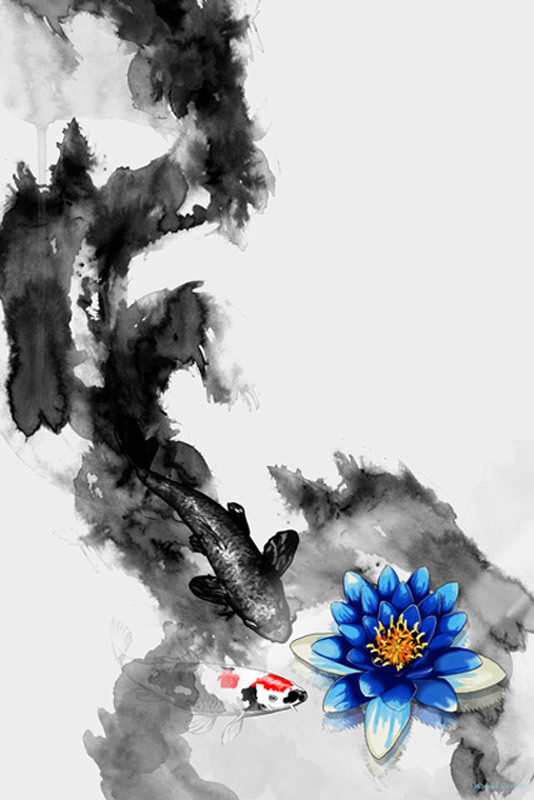 A striking take on nature and color, Nelumbo offers a stylish statement for any modern space. 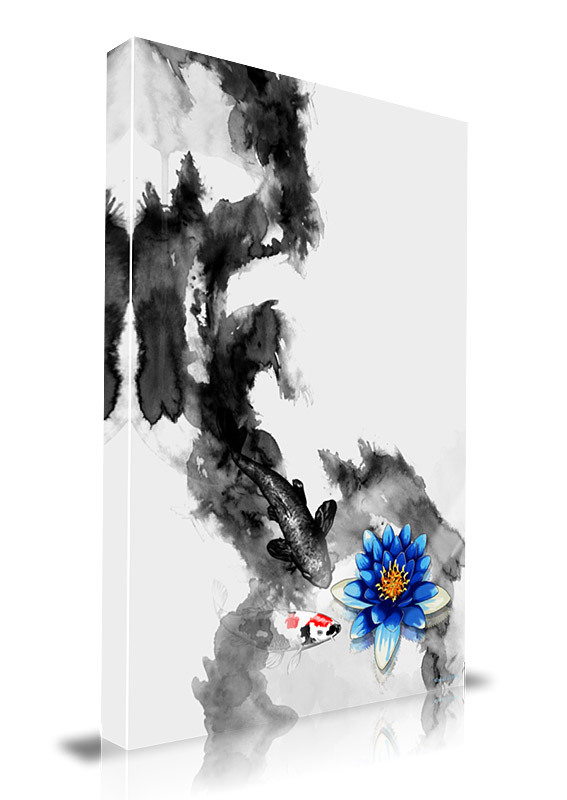 Manufactured in the United States, Nelumbo is made with 100% archival museum quality heavyweight canvas, which enables the canvas print to last more than 150 years without fading. Handwrapped around a solid pine frame, Nelumbo ships with mounting wire hardware.